George loves to go to the science museum. So, when he finds out that the museum is planning a "Green Day" dedicated to recycling and planting trees, and George is curious and wants to help out! But little monkeys eager to help can sometimes become little monkeys getting into trouble. When George begins to find and recycle things around town that aren't quite ready for the recycle bin, he gets into a jam. 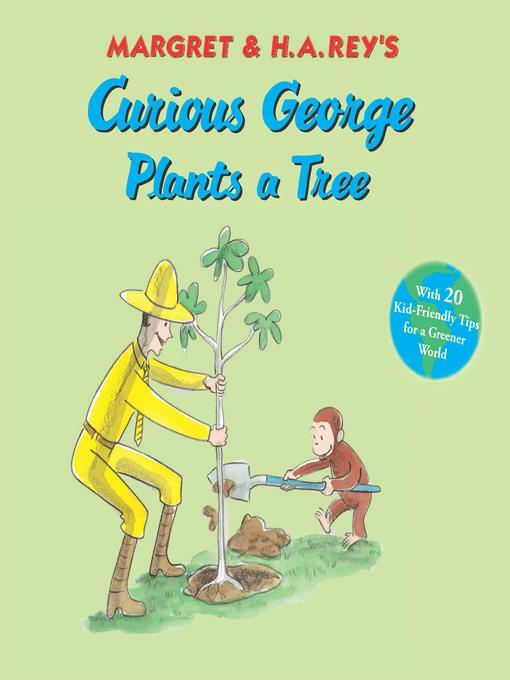 Thankfully, George isn't the only one who wants to help—the whole community can't wait to lend a hand—and help George and the museum plant some trees! Did you know...? The new Rey Center at the Margret & H.A. Rey Center in Waterville, New Hampshire will a model for energy conservation, using solar panels and wind generators for its electricity. It will reuse and slow-release stormwater, and treat its "gray water" (from sinks/showers) in a constructed wetland.